We have been sent the LeapFrog LeapReader Interactive Human Body to discover with our LeapReader and it’s been very interesting to watch the girls learn about how we’re made and what makes us work the way we do. The product is aimed at children 4 – 8 and being bang in the middle of that age range I can see why. As the twins are getting older they ask more questions about the body and this is a really handy game to use to widen their knowledge and open them up to the new world of the human body. They can learn facts about the human body, body systems, and nutrition, and reinforce the learning through over 40 activities. Now they have learnt to read and enjoy reading, it’s important to jump on this and open up their minds to all sorts of different topics like science, geography and the solar system. The first item the twins zoomed in on was the stickers and when I wasn’t looking they plastered them all over our picture of the Magic Faraway Tree. Luckily I was able to peel them off and then stick them on the game boards and charts in the correct places with their help. They have both explored with the LeapReader separately and together and have found the Interactive Human Body very interesting. I was surprised that some of the words used are the biological ones which seem a bit long-winded for children but I guess once learnt that word they won’t forget it. By playing with this game they have both at different times asked questions related to the game they were playing which is great as they are thinking it over and coming back for more information. The double sided game board is sturdy and has a lot of information on there, we’ve had it for a few weeks now and we still haven’t covered it all PLUS there are two levels of play so once you have covered level 1 successfully you can go back and repeat using level 2 and discover even more. This is fantastic as it allows the Leap Reader to be used for a long time and the game to be revisited time and time again without getting bored. This is great to hang on the wall at the right height to use as a growth chart throughout the year but also invites the child to pick up their LeapReader and interact with the pictures on it. Children can be seen washing, brushing their teeth and moving about. For example by touching the image of the boy with a ball you hear a child talk about muscles and once finished he invites you to touch the star button to hear a song. The song starts and it’s a bouncy get moving song. All the images on the growth chart do this. Learn facts about the human body, body systems and nutrition and reinforce the learning through 40+ activities! The Learn through Reading series is designed to help them apply those skills to explore topics like science, geography, writing and more. Parents can connect to the online LeapFrog® Learning Path for customised learning insights and ideas to expand the learning. I think the twins have only scratched the surface of this game so far and they enjoyed the stickers and growth chart too. I think it will become invaluable over the next two years when they start to read and learn more as they will be able to refer to it over and over and rediscover new and old information. This is a game to put away and get out at regular intervals so they are constantly discovering something new. The Learn to Read System library features over 80 interactive books, puzzles, maps, and more. Parents can connect to the online LeapFrog Learning Path to see what their child is playing and learning. Appropriate for children aged 4 to 8 years. Works with LeapReader and Tag Reading Systems. Disclosure: As part of the LeapFrog Blogger panel we are sent products to review and give our honest opinion on them. The wonderful World of Simon Abbott is a new series by Ticktock books; a witty series for readers aged 5 – 7 giving informative guides to their favourite topics. They are beautifully illustrated in a way that captures children’s imaginations AND their attention as they are packed with funny facts. This was the first book we read as the girls are studying Pirates in Term 6 and we were really captivated. It’s not a story but each page is filled with quirky drawings and fun facts on how they dress, the flags they use, a peek inside a captain’s quarters. You even find out what they loved to eat and how they spent their free time – cleaning the ship and playing/dancing to music. DID YOU KNOW? Some pirates were actually top sailors allowed by a king or queen to go and rob their enemies. They were known as ‘privateers’! Definitely a book that appeals to both boys and girls, my two loved pouring over the facts written all over the page and there was so much laughter at the funny ones. I really love this one, it has me grinning all the way through, did you know T. rex’s teeth were as big as bananas? That’s one very clever way of getting the children to remember and imagine just how big Dinosaurs were. Again this is a book to refer back to time and time again without ever getting bored. I love the way Simon Abbott has drawn the dinosaurs and given them speech bubbles, it makes the dinosaurs so much easier to understand and warm to. If I’m honest the girls haven’t had anything to do with dinosaurs in their life whereas my son LOVED them as a preschooler. I am sure they will study dinos next year so this book will be an fabulous reference book for them to refer to and a fun one too! DID YOU KNOW? The smallest dino would have fit in the palm of your hand, while the most gigantic dino was taller than a six story building! Disclosure: We were sent a copy of each book mentioned for the purpose of this review and yep, Id thoroughly recommend them. LeapFrog has introduced a LeapReader Book Club on Facebook and we were delighted to be asked to review a book for the month of June. Our LeapReader Interactive Book to review is Dora the Explorer – Tale of the Unicorn King. It’s part of the Early Reading Series that includes long and short vowels, sight words and word families. On opening the book you find a panel of options with very simple and colourful symbols on which to place your LeapReader, this gives the book many possibilities. Read the Story uses the colour yellow and a play symbol for identification. By touching this symbol LeapReader will read the whole story and give a musical note as a sign to turn page but you have to be quick, I think it’s best for a parent to help out. The games included throughout the story are simple but clever, For example, Can you see a rainbow? Touch the rainbow with your LeapReader. Dora then says in Spanish, ‘Che lindo! – it’s beautiful’. I was surprised to hear her speak Spanish but it’s translated straight after and adds another dimension to this book. Each green symbol has more than one game to play on each page. The LeapReader works by recognising words on the page and can say them when the child gets stuck if reading alone or it can read the story as an audiobook whilst the child follows the words. It really is simple and the twins picked it up very quickly and immediately started arguing as to whose turn it was to hold the LeapReader! Tale of the Unicorn King is perfect for children who love fairy tales and myths like mine do. It includes a mix of beautiful and wonderful things to keep turning the pages like rainbows and rabbits, like enchanted forests and a map to follow. The story is simple, the animals of the Enchanted Forest want Unicornio to be their king but Unicornio is full of self doubt; a king must be kind, smart, brave and strong and he’s not so sure he has those qualities so Dora helps him out. At the back of the book there’s a page of information on short vowels, long vowels, word families and sight words. It’s really informative and helps parents understand teaching methods too. The LeapFrog LeapReader is an educational system that uses a talking pen together with a vast range of books that encourage children to read and write. There are writing sheets for the child to trace with the pen gradually getting the hang of forming the letters and writing them. The LeapReader teaches reading comprehension, vocabulary and listening skills too. It’s aimed at children aged 4 – 8. The pen needs to be connected to a computer via a USB cable which opens up LeapFrog Connect where you can access your account and add or subtract apps to each device you own. On buying a new book, you have to touch one of the symbols in the book and then connect to the pc in order to download the content. The USB is also used to recharge the pen. Our verdict: 4/5 – one point less as I think the Read the Story needs to allow a bit more time for turning the page, little hands (who like to do everything) are slower than an adults. 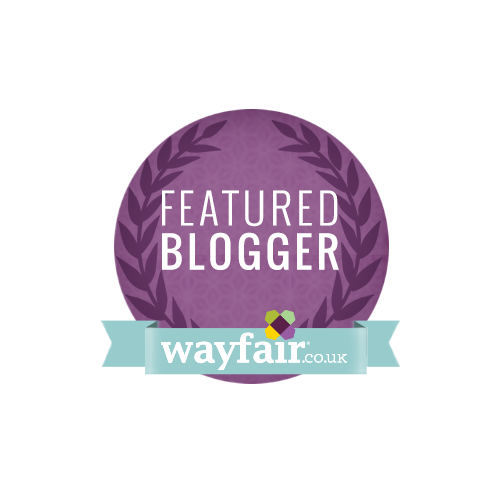 We are very proud to announce that we’ve been chosen to be part of the LeapFrog Blogger Panel. The twins LOVE their LeapPad Ultras and they go everywhere with us. I love their LeapPad Ultras as we can chop and change the uploaded apps to keep them constantly amused, revisiting ‘old’ games and discovering new apps at the same time. One of my favourite LeapPad moments is listening to them with their earphones on singing along to pop songs. Like this early photo shows. Inheritance – Sharon Moalem – genes and how we can change them. Do cancer/diabetes/Hip dysplasia run in families? These common phrases would make you think that our genetic make up is fixed at conception and we’re stuck with it right? Well Dr Sharon Moalem has discovered differently and his new book opens up so much hope in so many areas of our life that the results are very, very exiting. His new book Inheritance explains exactly how. The book transforms how we understand ourselves and our families by revealing that everything we thought we knew about genetics is wrong. In a nutshell everything you do and experience in this life is recorded in your genes, the bullying at school, the cigarettes smoked as a teenager, the food you eat and the seemingly inconsequential matters, all recorded in your genes. In fact our bodies are in a constant state of transformation and regeneration and our current experiences add to those changes, we have the power to change our own genetic destiny. I often wonder what I have passed on to my children and what I have been passed down from my own parents. It’s true we live longer now, we eat better diets, live healthier lives and the majority of us are all for happier, healthier longer lives. So imagine if we could alter the genes and correct asthma, eczema, hayfever and even cancer. Maybe this book scratches the surface of a whole new area of medicine that will change our lives and help us learn how to live better lives, as Angelina Jolie shows us we can now be previvors rather than survivors. For more information read this article in the Guardian. Sharon Moalen is an award winning physician, scientist and bestselling author. He is an expert in the fields of rare diseases, neurogenetics, and biotechnology. His work has brought together evolution, genetics, biology, and medicine to explain how the human body works and in Inheritance he shows that the human genome is far more fluid that you’ve ever imagined. By studying in depth patients suffering from rare genetic conditions he can now tell us all about our own health and well being. INHERITANCE will prepare us with what we need to be aware of. As we enter more fully into this brave new world, our relationships will be tested, and our lives will change. And as we’re about to see, so will our bodies.